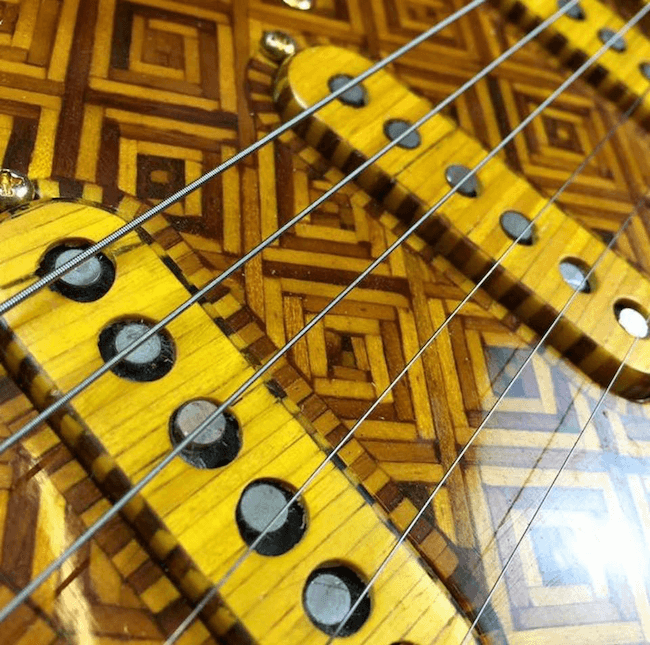 Everybody knows that a modern guitar is mostly made of wood. 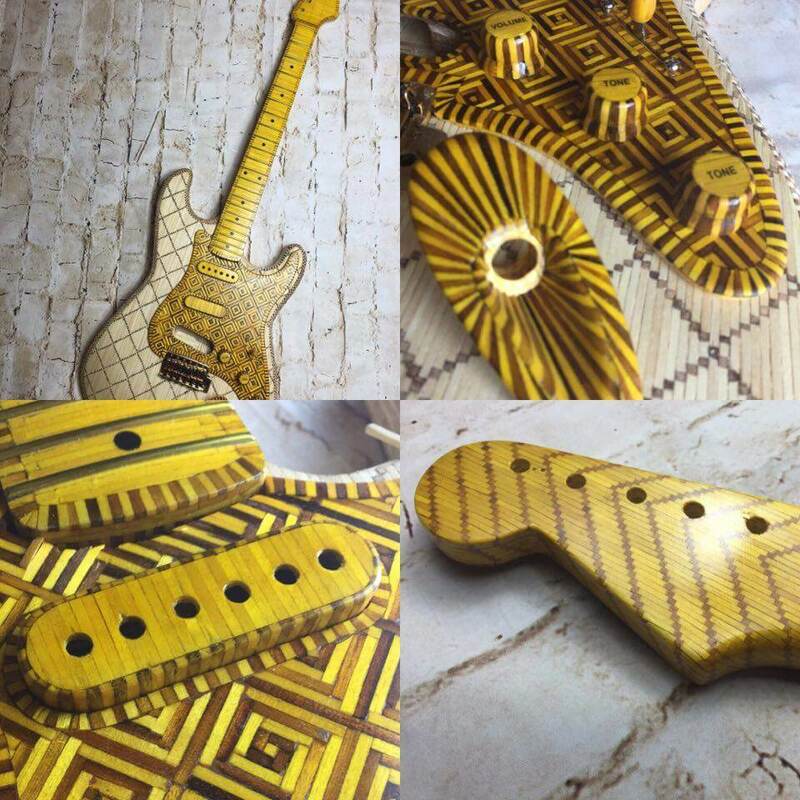 Those who are a little bit into the topic also know that typical woods used for the body and neck of a guitar today are Mahogany, Ash, Maple, Basswood, Agathis, Alder, Poplar, Walnut, Spruce, and Holly. 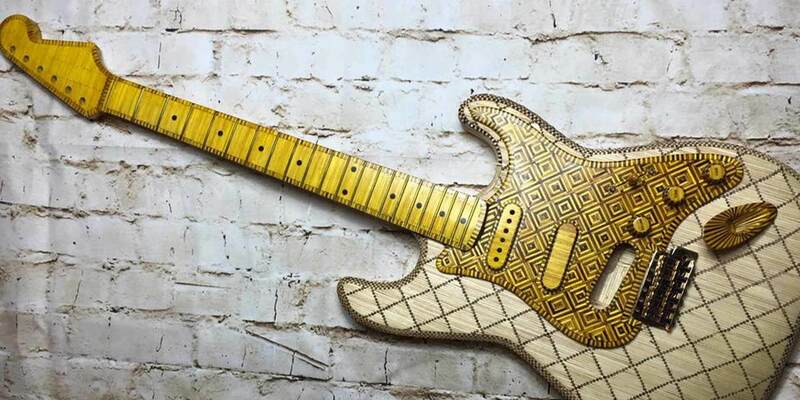 But I bet only rare ones know that there is a guitar created entirely from individual matchsticks! 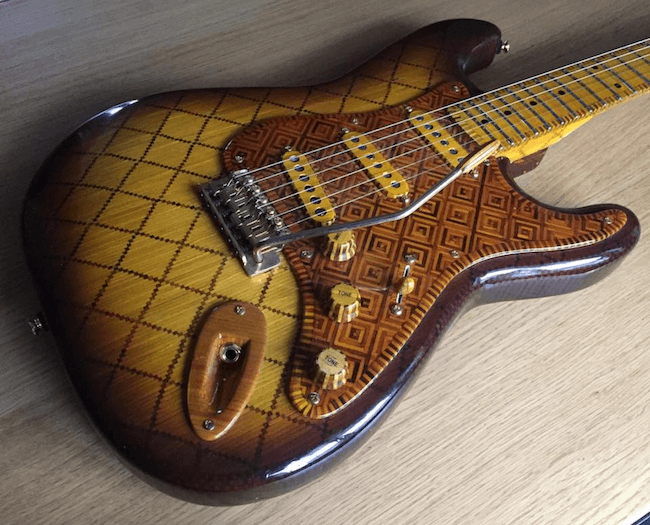 Here we present to you this interesting guitar by Dean Fraser, which is truly one of the kind. 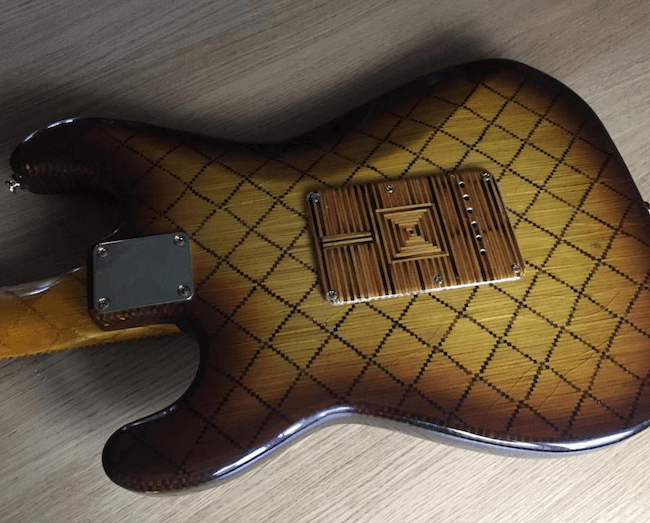 Dean Fraser is an owner of Fraser Guitars, which he founded in 2014. 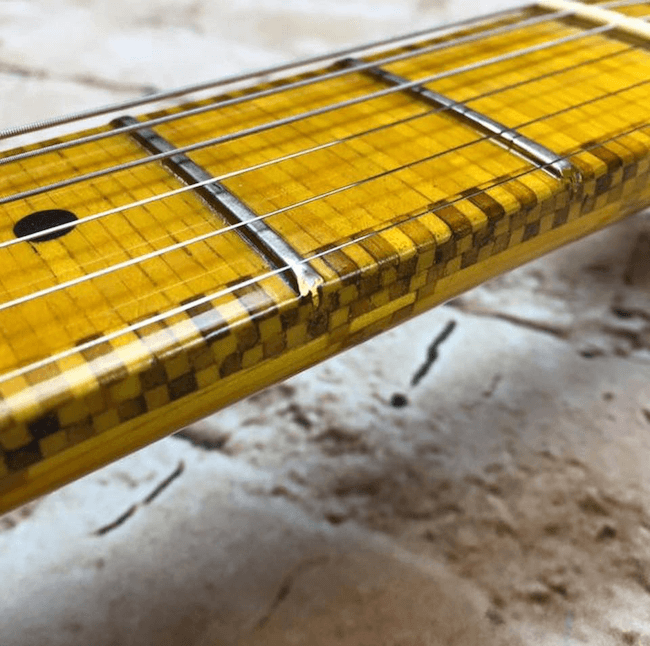 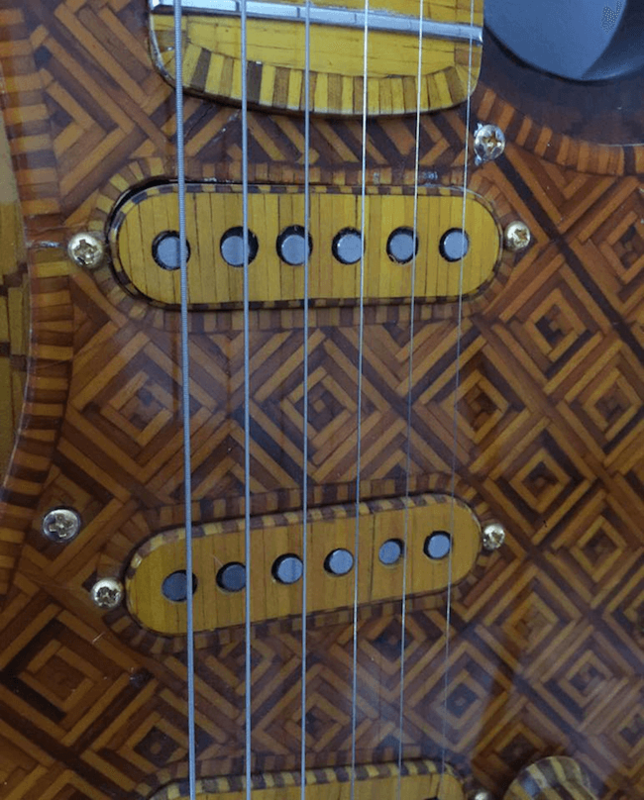 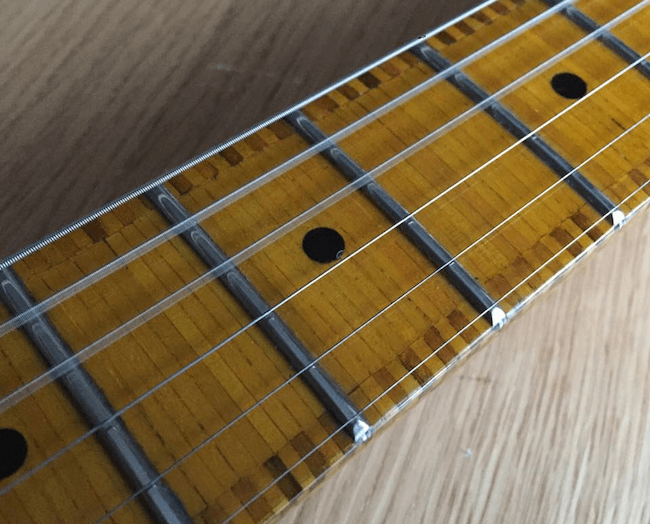 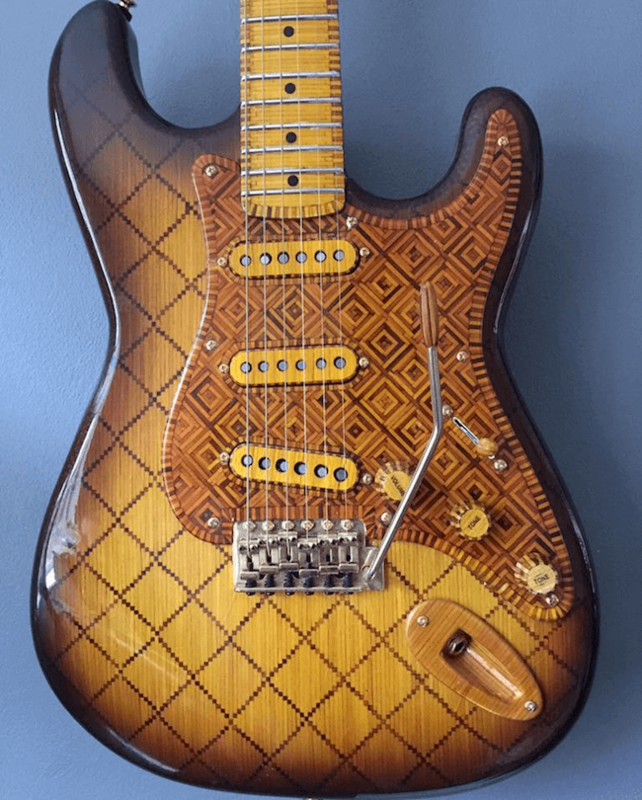 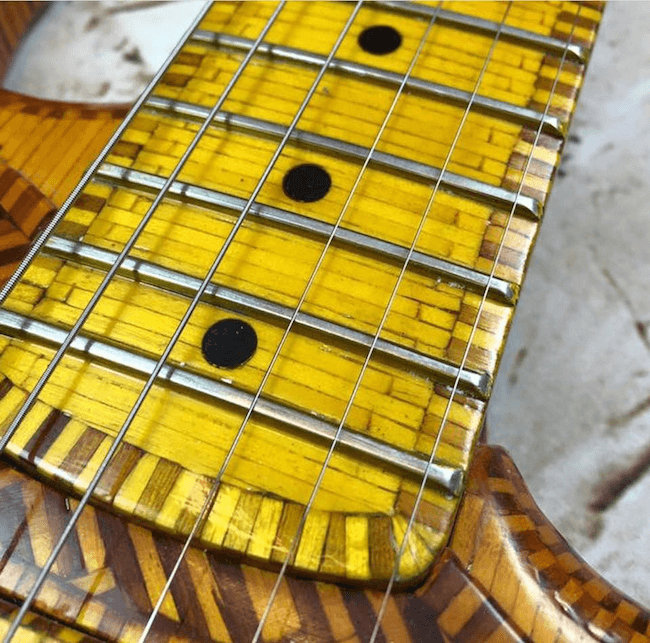 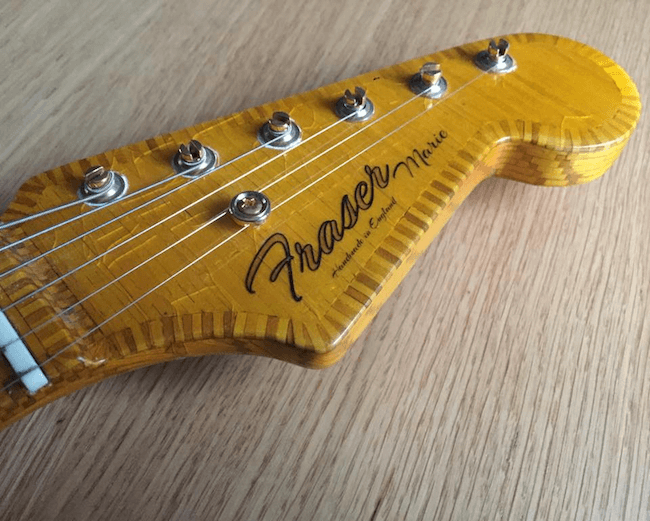 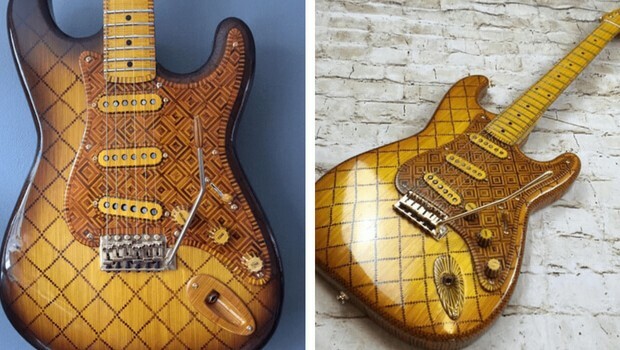 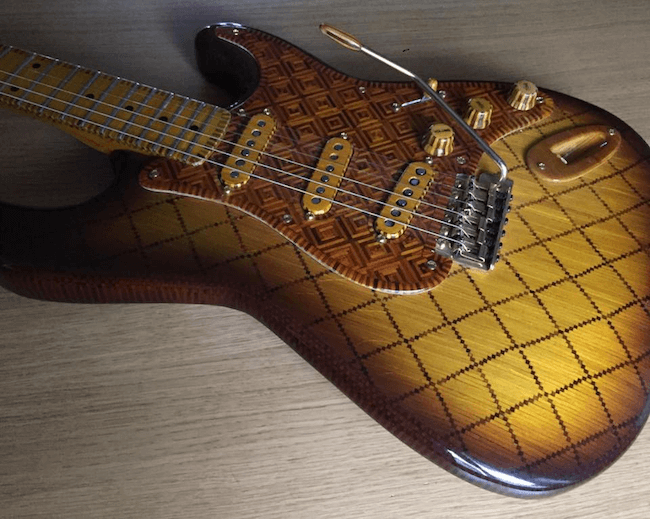 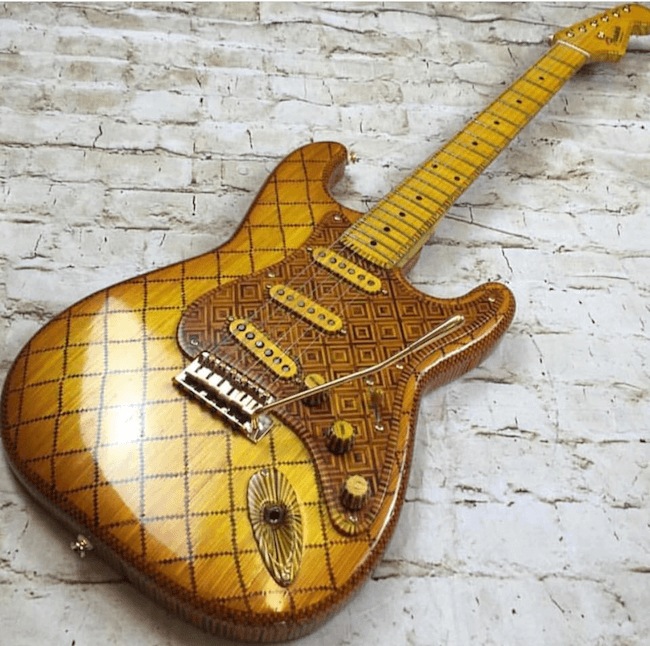 Since then, Fraser built more than a hundred instruments and one of them is the Matchstick Strat, the guitar made of matchsticks that you can check out in detail in the photos in the gallery below. 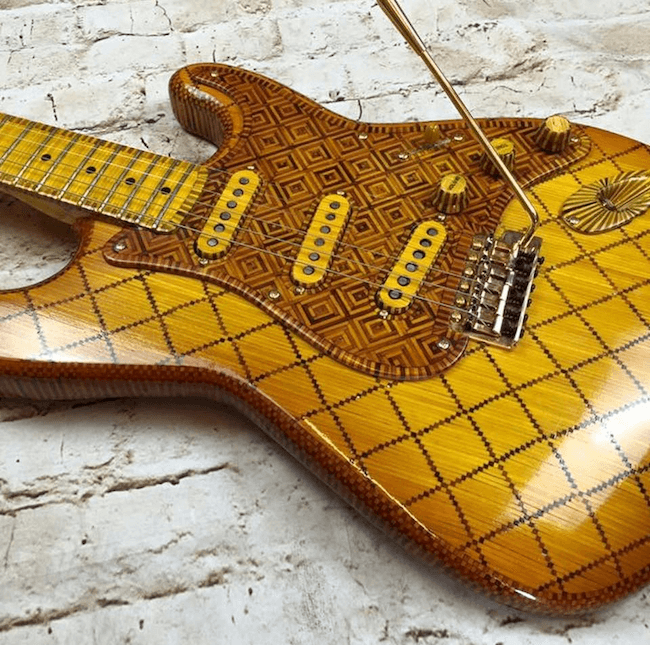 His amazing skills and unique ideas made him an in-demand boutique builder very quickly. 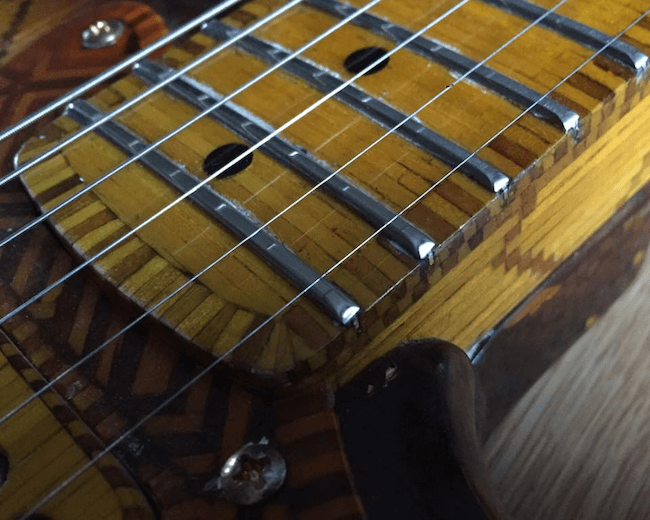 He spoke in the interview for the Reverb (the marketplace for musicians to buy and sell used, vintage, and new music gear online) about his inspiration, the process of creation and materials he’s been using. 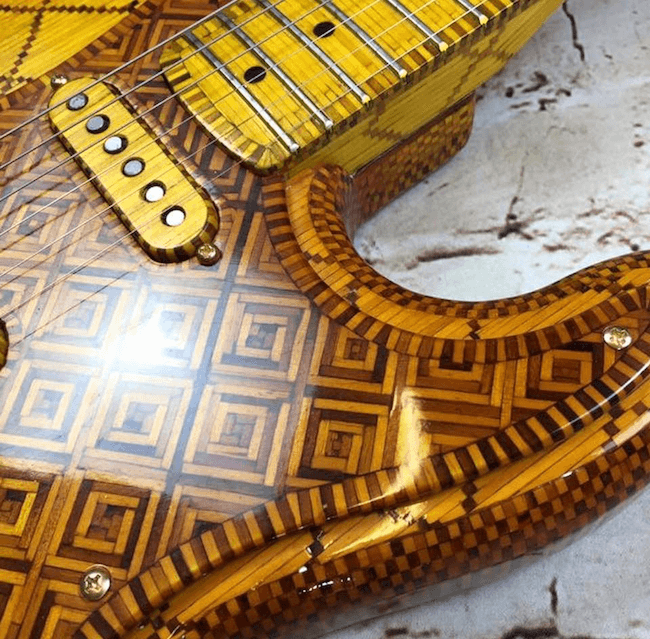 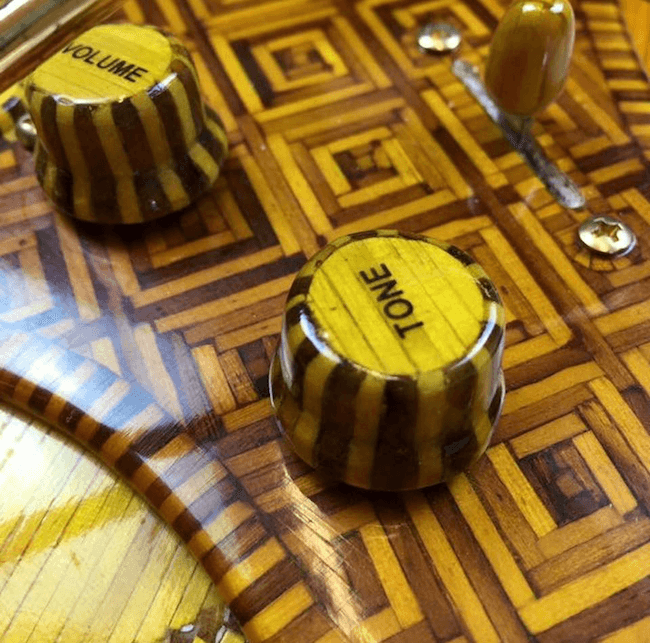 Learn what he said while scrolling down the gallery showing in detail his masterpiece – the Matchstick Strat.